The explanation for the error message (Sorry, you can't view or download this file at this time is an error) is simple,If too many users view or download a file, it may be locked for a 24 hour period before the quota is reset. The period that a file is locked may be shorter according to Google. While you may wait until the file becomes available again, doing so may be risky. If the file is pulled in the meantime, you won't be able to download it anymore. Also, if you require the file right away, for instance for work related tasks, waiting may not be an option. There is a workaround that allows you to bypass Google Drive's 24 hour limit. How that is done depends largely on what you see on the screen. The most common error is shown on the screenshot above. It simply shows the error message but no other controls or options. Locate the "uc" part of the address, and replace it with "open", so that the beginning of the URL reads https://drive.google.com/open?. Load the address again once you have replaced uc with open in the address. This loads a new screen with controls at the top. Click on the "add to my drive" icon at the top right. 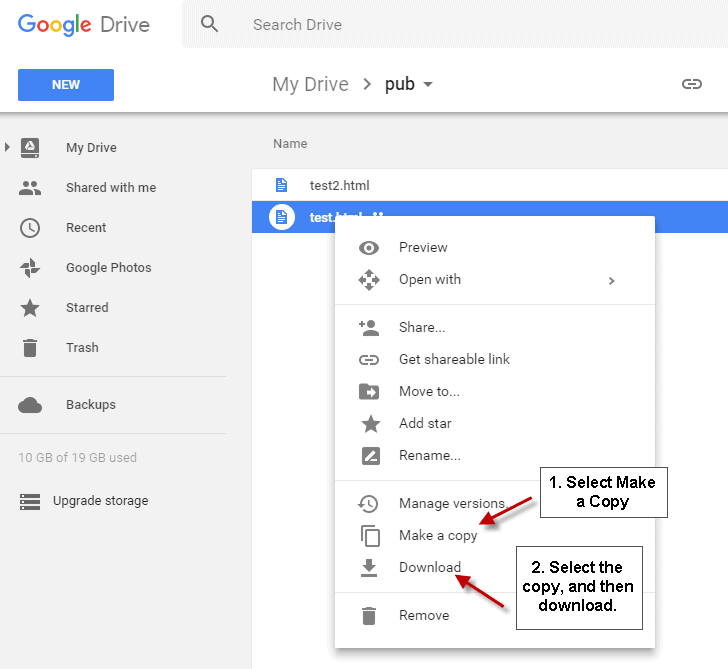 Click on "add to my drive" again to open your Google Drive storage in a new tab in the browser. You should see the locked file on your drive now. Select it with a right-click, and then the "make a copy" option from the menu. Select the copy of the file with a right-click, and there download to download the file to your local system. Basically, what this does is create a copy of the file on your own Drive account. Since you are the owner of the copied file, you may download it to your local system this way. How do I sync Google Drive with my PC? How do I stop Google Drive from syncing?